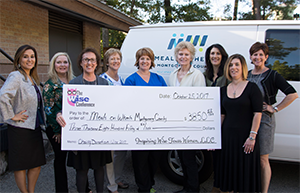 WISE is honored to continue our tradition of supporting local non-profits. It is our goal to enable smaller organizations to reach more of the community they support. If you are a non-profit, please complete the application for consideration to be our charity of choice. If you know a charity that needs a hand up, please ask them to apply. The application period will close March 31, 2019. Yes! I would like to have the WISE Conference committee consider my organization as their 2019 charity of choice! This application must be submitted no later than March 31, 2019 by 5:00 PM to be eligible for consideration. Thank you!